Rarely can a poster tell us so much while showing so little. But the new teaser poster for Christopher Nolan’s Interstellar has a decent amount of clues we can chew over while we wait for the next trailer, which we just learned will be attached to prints of Godzilla when it opens on May 16. Click the above image for a hi-res version of the poster. Or, click here. The "clue" that catches my eye is the tagline for Christopher Nolan’s Interstellar -- a project that is deliberately shadowing its premise in mystery. "Mankind was born on earth," it reads. "It was never meant to die here." What could that mean? We have been hearing – through the trailer description that we reported on the other day – that Interstellar was going to involve space travel, with Matthew McConaughey’s character possibly having to leave our planet on a mission to save it. From what? And how? Well, those are questions that will have to be answered in that near-three-minute trailer that’s coming. Hopefully it will make it online long before Godzilla opens in theaters, so we can pause our players, screencap Nolan’s latest epic, and begin to parse all of the mysteries that Interstellar has to offer. The other visual cue taken off of the above poster is the idea of humans being beamed up to space, possibly through a craft. 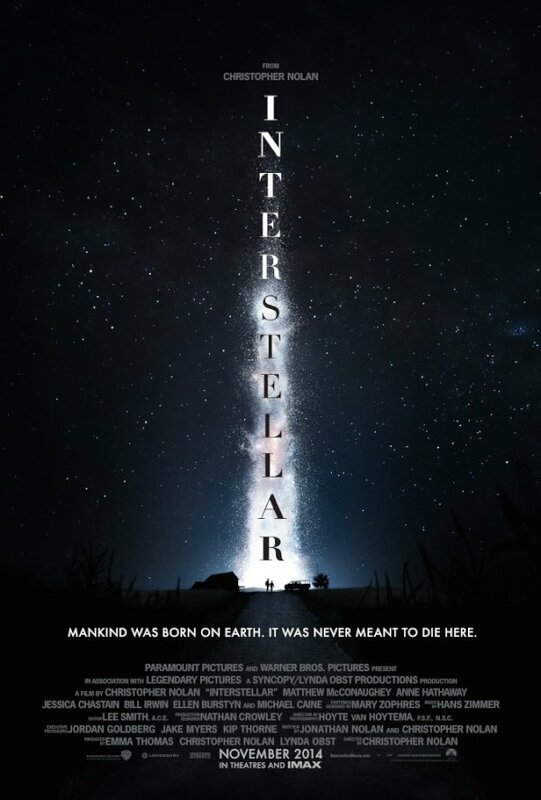 The design of this Interstellar poster reminds me of old Close Encounters of the Third Kind one sheets. Not the color scheme, but the placement of Christopher Nolan’s name hovering above humans in a desert scene. 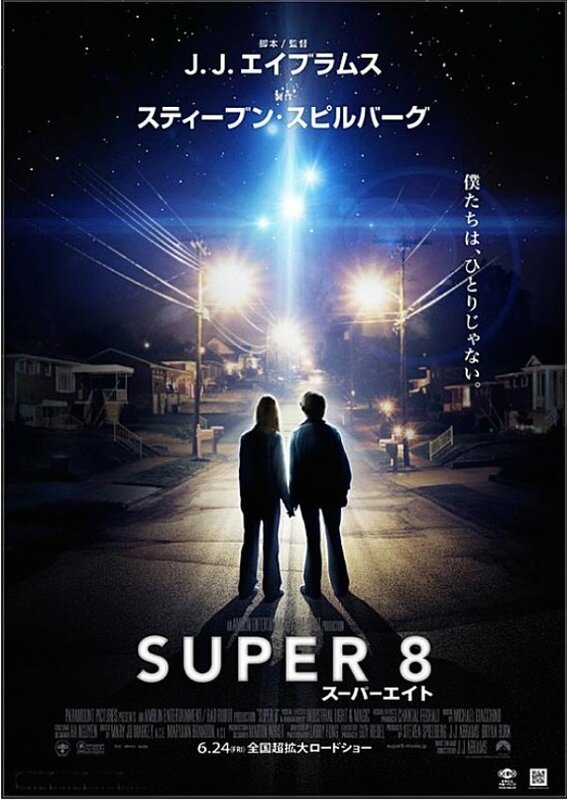 The use of the celestial beam also calls to mind marketing materials for J.J. Abrams’ Super 8, another alien thriller. 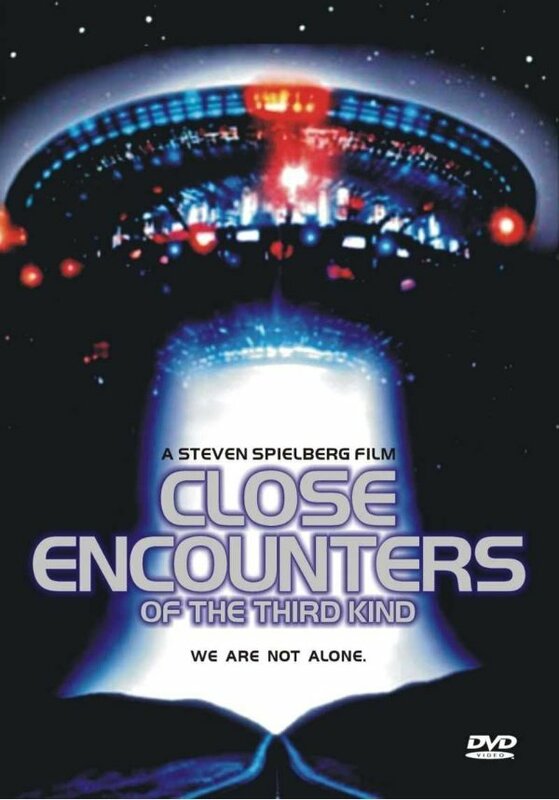 Does this mean that Nolan’s Interstellar has to do with aliens, first contact, or extraterrestrial lands? Possibly, though the director has said that it’s more involved with wormholes and time travel than anything. Given that it comes to us from the brain behind Inception, anything is possible. By suggesting that mankind isn’t supposed to die on earth, does this mean that Matthew McConaughey will be colonizing a new location, and that the denizens of our doomed planet are going to have to move there, somehow? We’ll know a lot more about Interstellar soon. For now, we can tell you that Christopher Nolan directs an ensemble that includes Anne Hathaway, Jessica Chastain, Michael Caine and Matt Damon.